Students: Got Plans For The Summer? By Edgefield Advertiser on March 15, 2013 Comments Off on Students: Got Plans For The Summer? Kandace Ryans, LPN, works at Internal Medicine of the Piedmont in Greenwood. Greenwood, S.C. – Self Regional Healthcare is now accepting applications for student volunteers for the summer. High school and college students are encouraged to download the application forms at http://www.selfregional.org/studentvolunteer/ and return completed applications by April 12 to the Self Regional Healthcare Volunteer Services department by email to tarthur@selfregional.org, or by mailing the forms back to Self Regional Healthcare Volunteer Services. Student volunteers work an average of 50 hours during the course of the summer, or about 10 hours per week. Each student will receive a broad exposure to the healthcare industry, which is often an eye-opening experience for them, said Sandra Williams, Director of Volunteer Services. Greenwood native Kandace Ryans is an alumna of Self Regional’s student volunteer program. 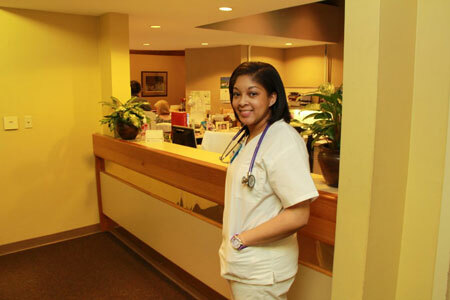 She now works as a licensed practical nurse (LPN) at Internal Medicine of the Piedmont, after earning her LPN and CNA degrees from Piedmont Technical College. Ms. Ryans worked five summers as a student volunteer, beginning the summer after her eighth grade year, and fondly remembers the people and time spent in service. “Our student volunteers go through orientation, and learn a tremendous amount about what happens on a daily basis at the medical center,” said Mrs. Williams. “We work with them to find out their interests, and as much as possible, use that information to make sure we expose them to the areas they are interested in the most. Self Regional accepts 30 students each summer for the summer volunteer program. Applicants must be a full-time student, at least 15 years old and in the 9th grade with a minimum of a “C” average. Student’s counselor will be contacted by Volunteer Services for a recommendation for the applicant. During the course of the summer (June 11-July 25), student volunteers are expected to complete 50 hours of service, an average of 10.5 hours per week. The department will work with the student on placement and rotation throughout different departments and scheduling. To download application forms, visit http://www.selfregional.org/studentvolunteer/ or visit your high school guidance office. If you’re not a high school student, but are interested in volunteering at Self Regional, contact Volunteer Services at (864) 725-4878 to find out how you may be able to work with Self Regional.